In a pre-social media time, a company’s online reputation was shaped to a large extent by business-to-customer communication via corporate websites. 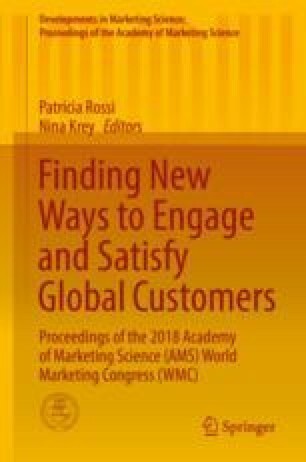 In the wake of Web 2.0 and social media, however, consumers are able to participate in the reputation creation process by writing reviews on online reputation systems (ORS) (King et al. 2014; Serra and Salvi 2014), which are large-scaled Internet platforms that collect, distribute, and aggregate feedback about products, services, or companies (Dellarocas 2003). The vast majority of extant studies focusses on ORS, which provides consumer reviews of products and services (e.g., Pavlou and Dimoka 2006; Gauri et al. 2008). Largely neglected, however, are reviews by and for employees. Employees are an important stakeholder group for reputation management (Helm 2012; Schaarschmidt 2016), and a subcategory of ORS called online company valuation platforms, on which current or former employees can evaluate their employer, is becoming increasingly popular. However, it should be emphasized that reviews on company valuation platforms also reach (other) current employees of the organization. This fact, which is widely neglected by extant research, appears to be crucial, as these reviews often offer opinions and experiences that are withheld in daily work life and could severely influence employees’ perceptions of their job, their coworkers, and the entire organization. We assume that employees’ coping responses and turnover intentions are especially affected. In particular, negative online reviews by colleagues may cause stress among the workforce, which, in the worst case, may lead to employee turnover followed by hiring costs for the company. This study proposes a research model studying the impact of negative company reviews on employees’ coping strategies and turnover intentions. We draw on the transactional model of stress and coping (Folkman 1984) and the moral disengagement theory (Bandura et al. 1996) to develop our hypotheses. The research is based on a survey of 74 software developers. The results revealed that negative company reviews affect employees’ moral disengagement and turnover intentions. In sum, this study makes several contributions. First, as a theoretical contribution, we provide an adoptable framework that combines the transactional model of stress and coping with moral disengagement theory to explain individuals’ coping responses. Second, we provide evidence that negative company reviews affect employees’ coping responses and turnover intentions. Third, we show how companies can constructively handle negative reviews by employees and thus reduce turnover intentions.